darkSpyro - Spyro and Skylanders Forum - Spyro: A Hero's Tail - What If Cynder Was In This Game? 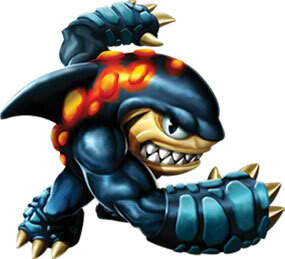 darkSpyro - Spyro and Skylanders Forum > Spyro: A Hero's Tail > What If Cynder Was In This Game? I mean, the only other dragons Spyro's size were Ember and Flame. Since Cynder is now well respected, I'm just wondering what would have happened if Cynder existed in this game. Cynder would get into a fight with Ember over Spyro, and there'd be an epic battle and lots of name calling. The majority of the Spyro portion of deviantART's opinion in a nutshell. Then she'd probably change a lot in TLOS like Spyro did. Or they'd have changed AHT..
Yeah, next thing they're going to to do is add Rosalina to the first Super Mario Bros. She's a princess and she's well respected, too. The short answer is get a time machine and change that yourself, we can't even tell Cynder's personality let alone how'd they write it 4 years before her actual appearance. We HAVE to get a derpy Cynder pic! There are tons in DeviantART, since you love getting them without the artists' permissions, you're probably at home with that.